Many people feel that if you do the job yourself you are going to save money. This only works if you have the tools, and the knowledge to get the job done the right way. If you don't. then you don't want to attempt to fix your plumbing issue yourself as you could cause a bigger issue then you might realize. This is especially true when it comes to clogged drains. That drain is clogged for a reason, and it could be from something that is stuck in the pipes, or a buildup of residue. When simple remedies that you can find at the market and pour down the drain are not clearing out your clogged drains, then you are in need of drain cleaning instead. A Drain Cleaning in Chandler, AZ will take care of the clogged drains and keep the pipes clean for quite some time. 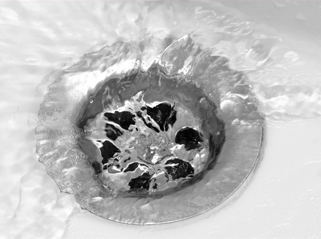 Our professional team will know what it takes to fix your clogged drains when they see them. They can easily snake the drain and pull out any loose debris, clearing out most of the issues. If that doesn't work, they have the tools needed to take apart the drain and the pipes and see what the problem could be. And if you are missing something important that fell in the bathroom sink, they can help look for it as well. Drain Cleaning in Chandler, AZ will clear out the soap residue, hair buildup and more than goes down those drains, allowing the water to flow down the pipes the way it was meant to. Give us a call today and let us know about your clogged pipes, and we can be there before you know it. We will have your pipes working the way they should in no time.